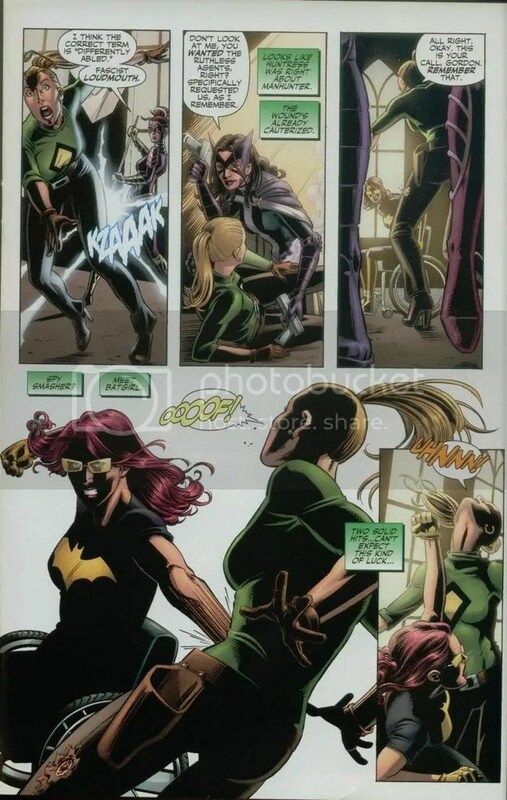 That’s right, it’s the classic throwdown between Barbara “Call Me Batgirl” Gordon and Katarina “Spy Smasher” Armstrong! The stakes? How about control of a little ad hoc group of superfolk no one dares call the Birds Of Prey? “But Tom,” you say, “Babs is in that wheelchair for a reason!” Yes, and that’s why Manhunter zapped Spy Smasher in the leg. Although really, I tend to think it’s so that Barbara wouldn’t hurt her too badly…. 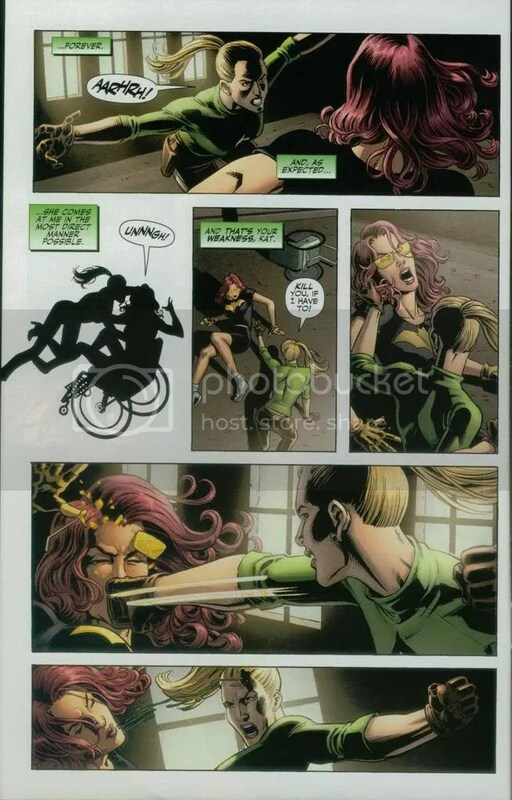 Naturally, the multi-page spread which follows this bout shows that none of Babs’ operatives will go with Spy Smasher under any circumstances — but this isn’t called “Friday Night Friendships,” now is it?